‎51yrs old, have dealt with severe AS for over 32yrs, After having a bout with cancer in 2006 I stopped all Enbrel, Remicade, Humira, as well as narcotic pain killers. Im still very active although pain is a everyday issue, its only made me stronger! 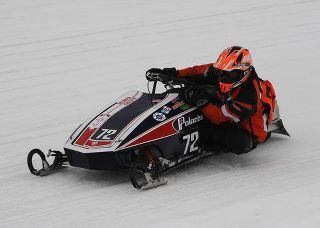 And yes I was a Semi pro snowmobile racer for 15 yrs the things you love cant be given up for pain! Im a fighter after having stage 4 cancer, I really didnt look at my AS in the same way it hasnt killed me, my life style is different because of it but Im alive still today and enjoying life to the Max! That’s amazing!! And such a wonderful attitude. Thank you for sharing your story Terry!